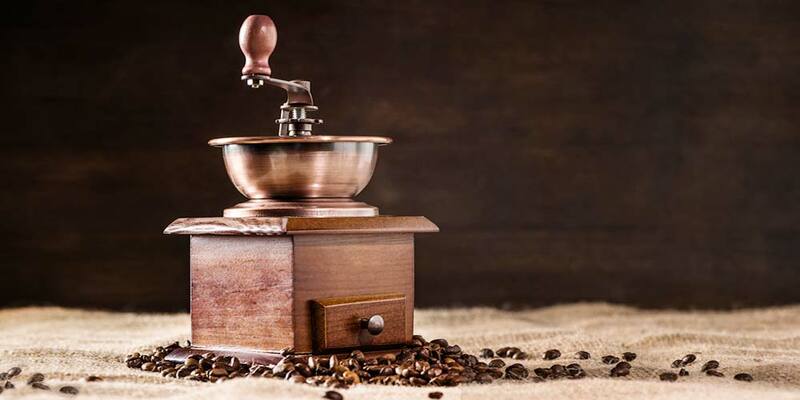 For coffee connoisseurs, the search for the freshest grind, bean or blend is never ending. Then there are your average coffee drinkers, who just want a good cup of coffee every morning, who may or may not even have a favorite brand or blend. There are conflicting guidelines for maintaining the flavor and quality of coffee, both ground and whole bean. While there is some variation on the best storage methods, everyone agrees that the end goal is to protect those precious beans from the coffee evils of light, air, heat and moisture. Here’s how to do it in your own kitchen storage space. The first step to storing coffee properly at home is to pay attention to the packaging at the store or coffee shop. The bags with those little white plastic buttons on them are the best choice. That button is a one-way-valve that releases built up gases without letting in air which can cause the coffee to go stale. Both ground coffee and whole beans can be purchased this way, but you should only buy bags that are within three weeks of the roasting date stamped on the packaging. 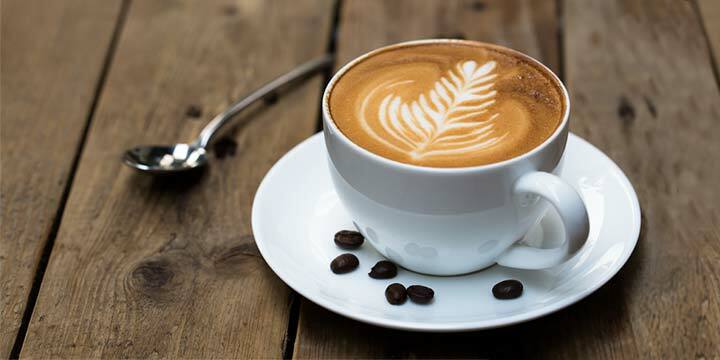 Vacuum sealed metal and plastic cans, primarily containing ground coffee, are options as well, but the coffee won’t be as fresh as the bags because the gases that give the aroma and flavor are bled off before the containers are sealed. The one option you should absolutely avoid is the scoop-your-own whole bean bins. The constant opening and closing of the bins, the repeated exposure to light and the unstable temperatures in the store have already ruined these beans. Now that you have the freshest version of your favorite coffee at home, you want to keep it fresh for as long as possible. The one-way-valve bag, if you plan to consume it within the next 5-7 days, can be stored right in the bag on a pantry shelf at room temperature. For longer storage, up to two weeks, transfer the coffee to an airtight, opaque glass or ceramic container and keep at room temperature to maintain freshness. If there was a sale and you couldn’t resist buying a few extra bags, just pop the unopened bags in the freezer and remove them as you need them, just don’t refreeze them as this will encourage condensation and moisture in the coffee which will ruin the flavor. Canned coffee can also be stored unopened in the pantry several months, however, once opened it must be transferred immediately to an airtight container, frozen or used within a week for maximum freshness and flavor. This method of storage is often debated and disputed among coffee aficionados and consumers alike. Some people feel that the freezer is the perfect kitchen storage area for coffee, and other people say never to freeze coffee, but it’s just not that black and white. Coffee can be frozen, as long as you follow a few simple rules. First of all, you should not store coffee for daily use in the freezer. Opening and closing the container every day lets in air, light and moisture, which is to be avoided as much as possible in order to prevent the beans from going stale or losing their flavor. Instead, separate the coffee into weekly portions and seal them in air tight containers. Use zipper type freezer bags and squeeze out as much air as possible before sealing them, or use a home vacuum sealing system to ensure an air tight portion. The individual portions can then be put in a brown grocery bag and placed in the freezer. Each week you can take out one of the fresh frozen portions and transfer it to an opaque container for daily use. Ground coffee will stay fresh for up to a month in the freezer, while whole beans will stay fresh about 2 months. Again, you should not refreeze daily coffee portions. There is no gray area at all in the commercially ground vs. whole bean debate. 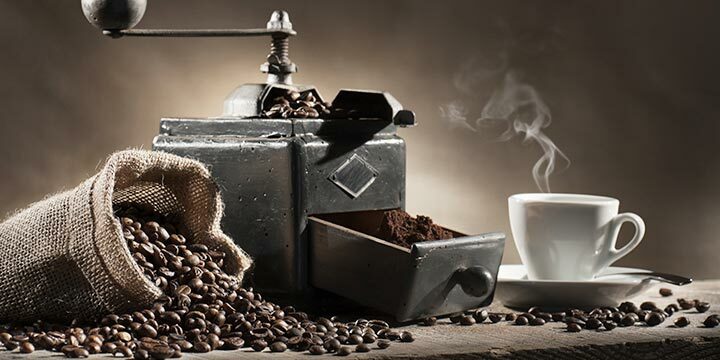 While buying coffee already ground or in a K-Cup may be more convenient, whole beans that you freshly grind yourself will have much more flavor. Amateurs and experts alike agree that the freshest and best tasting coffee comes from newly ground beans. Whole beans are also easier to store and maintain their freshness longer which makes the extra minute or two of grinding in the morning worth the effort. The good news is that many coffee roasteries will grind the fresh beans for you and all you need to do is bring them home and enjoy them. Freshly ground beans can be stored at room temperature in an opaque container for 3-5 days, but for the best flavor, it’s best to grind beans as you need them. Now that you know how to store coffee effectively, it’s time to look at some common coffee storage mistakes and how to prevent them. Don’t store coffee next to the oven, stove or microwave as this will expose it to heat and moisture, which will ruin the flavor. Avoid storing coffee for too long by purchasing only quantities that can be used within two weeks’ time. Don’t put your coffee in the refrigerator because it will absorb the odors and flavors of surrounding items, much like baking soda does. Don’t store coffee in a clear glass container. The light exposure will make it go stale faster. 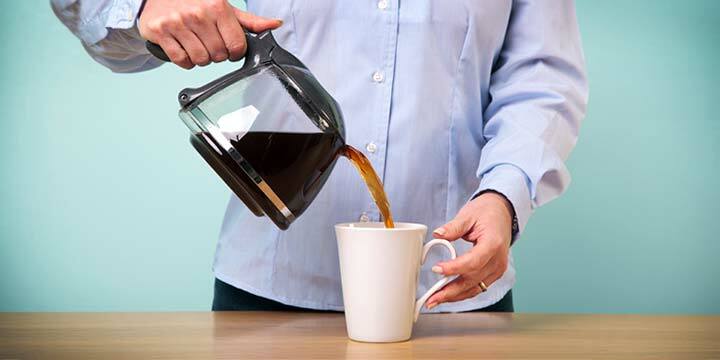 Following the first four recommendations should prevent any of these mistakes and ensure that your morning cup of Joe is the best it can be. The Best Part of Waking Up? It Depends. 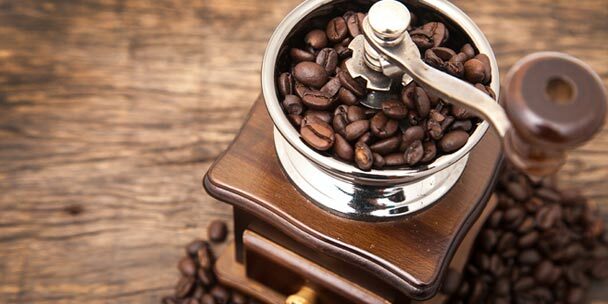 Whether you use a French press or the best coffee maker on the market, a cup of coffee is only as good as the bean that it’s ground from, and the best tasting coffee comes from freshly ground beans. Remember that coffee should only be exposed to heat and moisture when it’s brewing, and it should only be exposed to light and air when it’s placed in the filter. 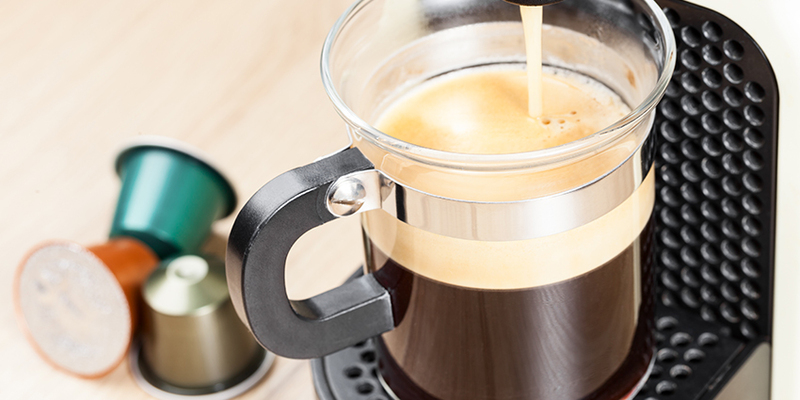 Using your kitchen storage space to protect your coffee from the staleness and loss of flavor caused by exposure to air, light, heat and moisture means that coffee will continue to be the best part of waking up.